How do you determine if a wine is ageable? 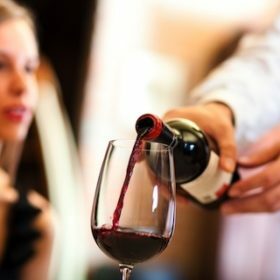 What knowledge and skills are involved in gauging whether a wine is at its peak in terms of drinkability, or if it will improve over time? And once it is deemed cellarworthy, how do you decide when it will best reward pulling that cork? In this issue you’ll find our Top 100 Cellar Selections of the year. These are the wines that our tasting panelists have singled out as being ageable—that is, they will improve over time and yield their full potential in flavor and depth in a matter of years, if placed in a cellar or storage unit that is properly temperature- and humidity-controlled. Anyone who has ever tasted a barrel sample or tasted a young Cabernet still in tight tannic grip, its fruit flavors just barely peeking through, will recognize the difficulty. Is it a great wine in the making, or will it be forever closed—or more likely, somewhere in between? Making that judgment involves skill and experience. Our editors and tasting panelists have the skills: the trained palates that can gauge whether the structure of fruit, acidity and tannins is in proper proportion and based on a solid foundation. They can predict whether that structure will fade too quickly or assert itself too strongly over time and upset the delicate balance. Is it science? No, but neither is it a guessing game. That is where experience comes into play. Our tasting panelists have tasted hundreds, thousands of wines over the years. They have gained sense memories accumulated from all the wines they’ve evaluated, but also some knowledge of the regions, the microclimates, the vineyards, the producers and vintage variations. Roger Voss in France, Monica Larner in Italy, Steve Heimoff in California, Paul Gregutt in Oregon and Washington State, Susan Kostrzewa in New York and Michael Schachner, who has vast experience in Spain and South America—their immersion in, and familiarity with, the wines of their territories gives them an edge in predicting a wine’s evolution. This, to me, is the bedrock of authority and credibility. I’m proud of the program our tasting director, Joe Czerwinski, has built, and I’m confident that’s why readers subscribe to the magazine and turn, time and time again, to www.winemag.com, our free online database of more than 64,000 ratings and reviews. 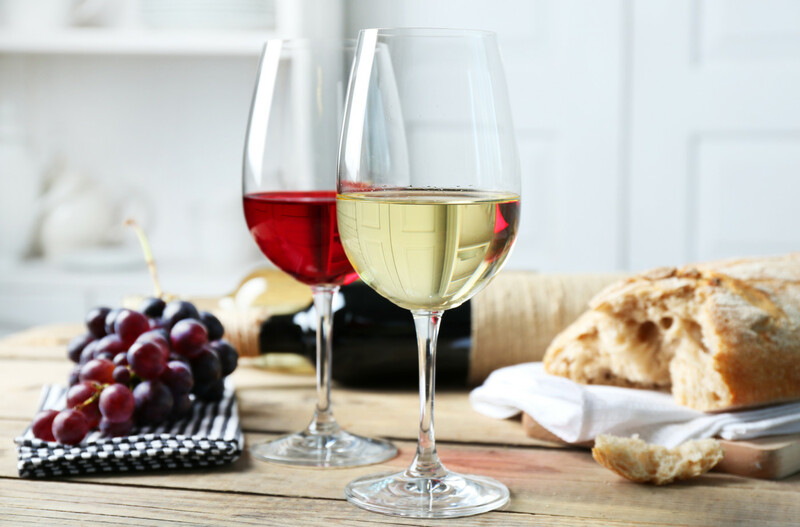 As America’s wine culture continues to evolve, even in tough economic times, this is why wine devotees continue to look to Wine Enthusiast for keen judgment, with an eye on value and quality. Evidence of this is the explosive demand for our iPhone application, which makes our database available at the press of a few keys. As of this writing, sales of the application have exceeded 65,000, making it the #1 lifestyle application on the iPhone. Blackberry users can also soon avail themselves of our ratings, starting this month. In addition to our Top 100 Cellar Selections (page 22) and the Buying Guide (page 67), you’ll find a fine example of a tasting panelist’s insights and recommendations in Roger Voss’s report on nonvintage Champagnes (page 44). The wines of Champagne are eminently ageable, and though much of the world’s attention goes to vintage Champagnes, the fact is, the producers themselves are very proud of their nonvintage wines. Voss describes the various styles, providing a useful guide for your sparkling purchases at holiday time. The holidays are all about food and family, and on page 36, we present the cherished family recipes of chefs you may be familiar with from television and your treks to wine country. We asked Gordon Ramsey, Cat Cora, Lidia and Joseph Bastianich and other superstar chefs to share their special holiday recipes with us—particularly, recipes they enjoyed as a child, learned from their parents or grandparents and that they still make today. On page 58, Gretchen Roberts explains how easy it is to make sushi at home—not, of course, the intricate, visual and textural masterpieces such as you find at the top sushi restaurants. Roberts recommends a party activity in which guests roll ingredients in cones of seaweed sheets, uncork a bottle of wine, sake or beer, and enjoy. Scotch whisky is associated with deluxe sipping, neat or on the rocks, but there are any number of great cocktail recipes that call for Scotch. On page 62, F. Paul Pacult recommends Scotch whisky brands that are excellent sipping whiskies, but that also lend themselves to cocktails. He presents some of the classic recipes that will have Scotch lovers looking at their favorite in a new way. Is it counterintuitive, maybe even heresy? Perhaps. But Pacult, our spirits tasting director, has been covering the field for more than 30 years. That’s what I mean by authority.